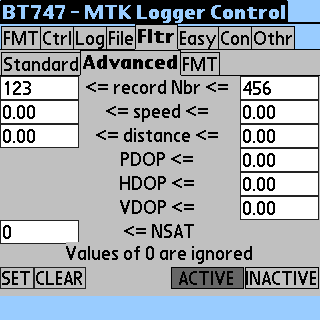 Installing the Desktop Version of "MTK Data Logger Control BT747"
IMPORTANT: BT747 is updated with a CERTIFICATE to comply with JAVA 7 (1.7.0_51) security. (I bought a trusted certificate (provided by a trusted authority) for about $300. Received it on Jan. 17, 2014. Thank you (!) to the users that donated a bit (thanks!) to partially cover the cost of the certificate. If every person using BT747 would donate $1 the cost would be covered in about two weeks (luckyly for you, I did not wait to cover the cost). 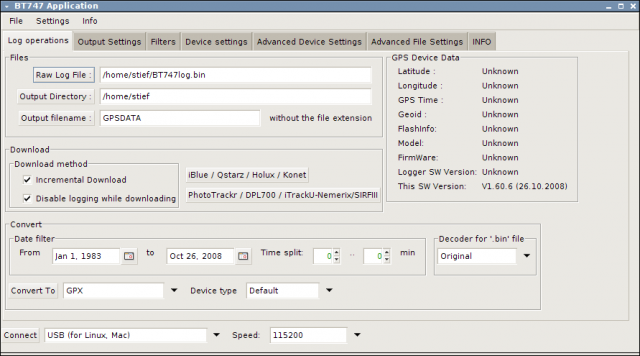 Installing the desktop version of BT747 for GPS control is fairly easy through the 'Java Web Start' system. This system works on Windows flavours, MacOS and Linux. 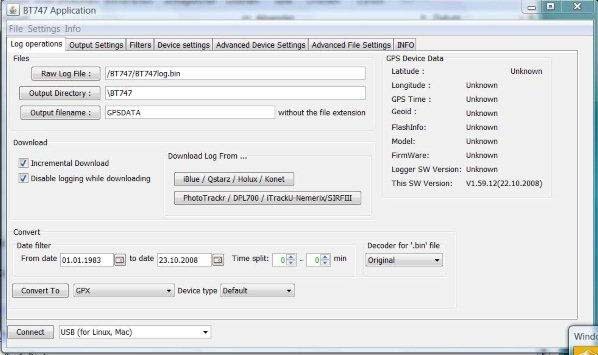 To download zip files follow this link. Try the development version, Install the current development version or keep it up to date automatically. 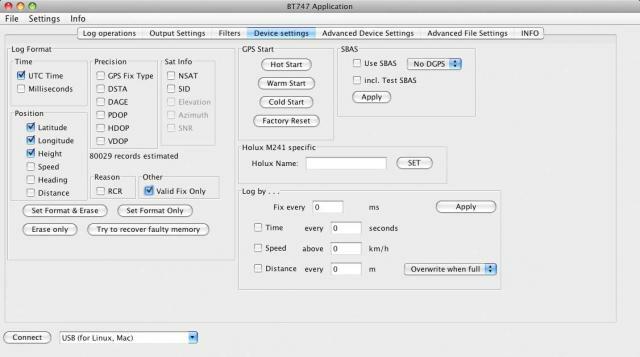 I am running Mac OS X 10.5.8 on a Powerbook G4 and am having trouble running the bt747_macosX_j2se.command for bt747 2.0.3. I have created the lock file and have been using 2.0.0 without any problems for some time and can continue to use it without any problems. Can add icon (like in your homepage) to Mac OS X distribution?! BT747 Desktop with Holux M-241? It looks like it doesn't try the holux port /dev/tty.HOLUX_M-241-SPPSlave-1. 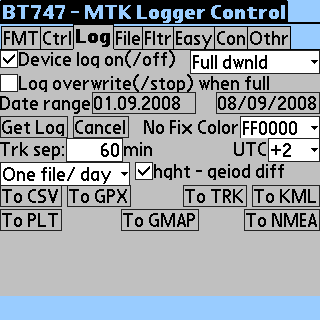 Is BT747 Desktop supposed to work with the Holux? bt747_macosX.command is working for me.